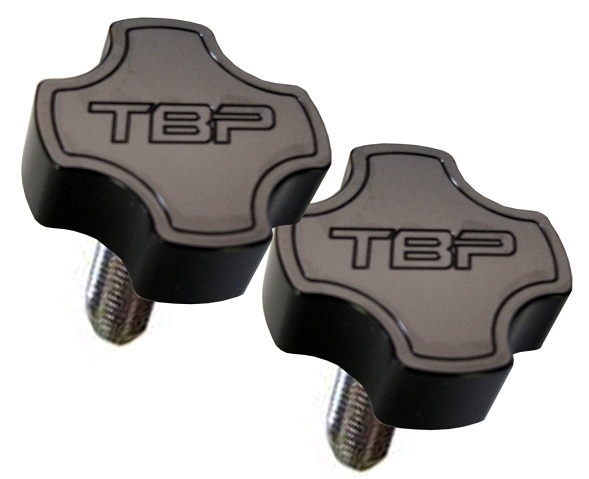 New pair of Billet Aluminum Windshield Frame Retaining Knobs for 1966-1977 Classic Ford Broncos. These knobs are CNC machined from aircraft grade aluminum. 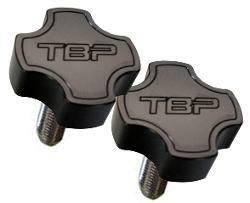 Includes the TBP logo etched into the center and anodized black. Stainless steel threaded shafts will not rust in place.